Inside of the Tsukiji Market, there held the auction and purchasing, we can enjoy seeing Tuna Auction. Outside of the Tsukiji Market, we can enjoy eating drinking at some sea food restaurants and also buy sea foods. 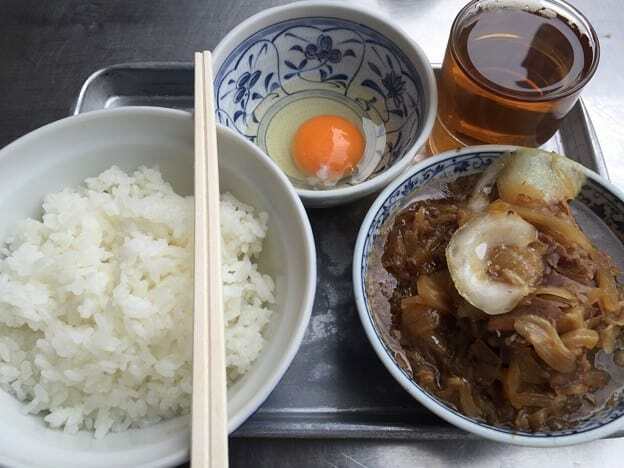 Though the fresh Tuna commercial transaction is most famous there, there are also various sea food restaurants that are famous for another specialty like as boiled Motsu Don Restaurant Kitsuneya. Kitsuneya is located outside of Tsukiji Market, Monzeki Street (Shinohashi Street). Boiled Beef Motsu is famous menu. Motsu is also called Hormone. It is intestine of cow and the fresher the Motsu is, the less odor it gives and easier to have. It is also Japanese common dish and often be had as the nibble with Sake. Kitsuneya’s beef Motsu is took very carefully for its freshness. So it has a texture like that melts in the mouth. In addition, Beef Don and Niku-dofu are also popular. There are lot of customers who have these dishes with Sake. The Tsukiji Market includes Kitsuneya open from early morning. It opens from 6:30 am to 13:30 pm. So you should go earlier. 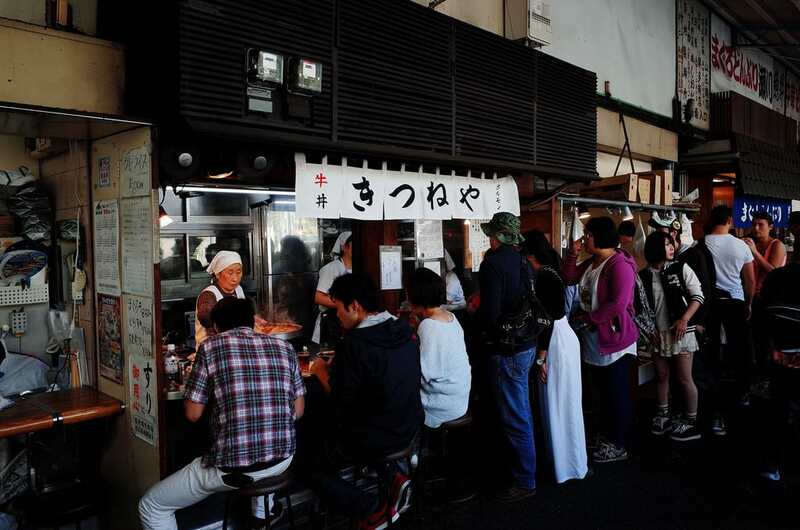 There always would be a long line of customers waiting for boiled Motsu, but it would not take so long to get in. Kitsuneya has 70-year history in Tsukiju Market. Kitsuneya use to be the store that prepare the Motsu stuck on a spit in huge pot and provide drinks and foods while standing. Nowadays, there are 5 seats inside of the store and standing drink space is also prepared outside and in front of the store. Boiled Motsu on the Haccho-Miso Basis. Kitsuneya’s Boiled Motsu had been created by the grandfather of current owner. Boiled sauce on Haccho-Miso basis in huge pot is add and used at each times. Putting the Boiled Motsu on the rice, Boiled Motsu Don is complete. The Niku-Tofu Lunch Set That Has Full of Beef’s Flavor on Tofu. 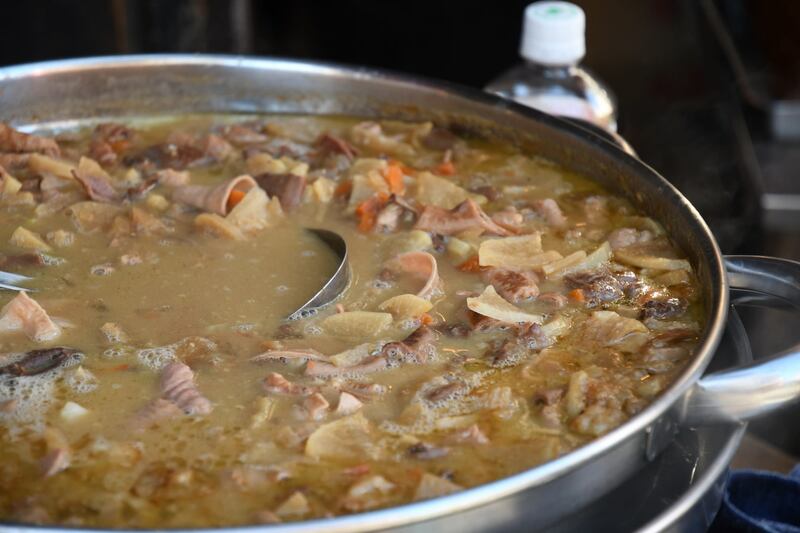 It is the dish made of beef and onion, Tofu boiled in sweet and salty soup, Warijita. 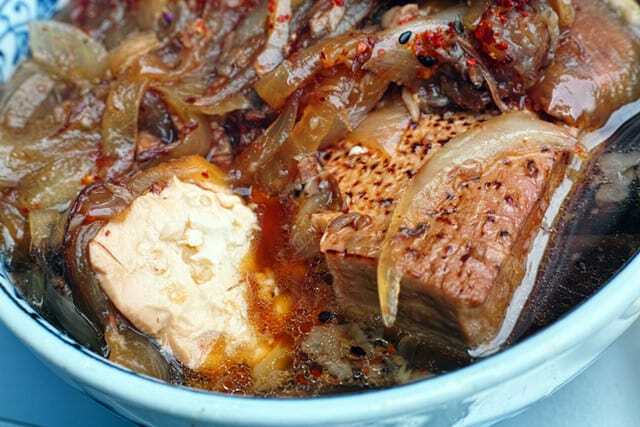 The flavor soak into Tofu and the beef and onion’s texture is as soft as it melts in the mouth. Putting beef and Tofu on the rice, we can also enjoy it as Don. 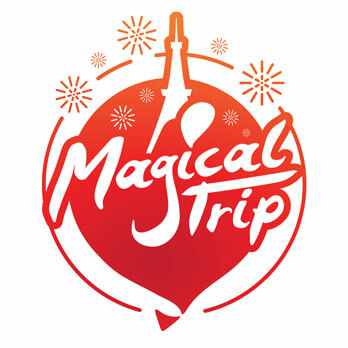 3 min walk from Tsukiji Shijo Station on Toei Oedo Line.